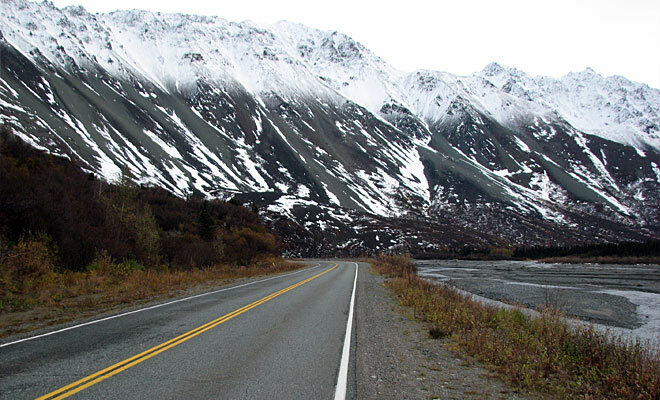 The Richardson Highway is not only Alaska’s first road, but also the first trail into the Interior of the state. 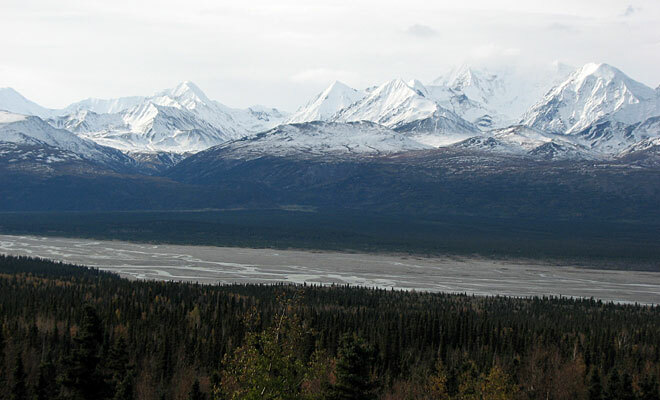 Prior to this route opening up, traveling into the heart of Alaska was only via rivers. 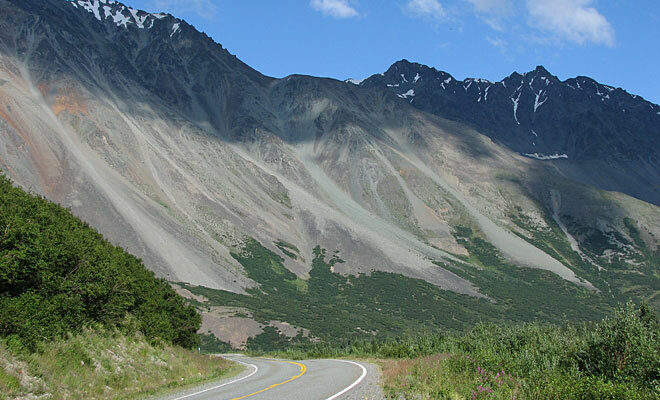 The trail began in 1898 as a route from Valdez to Eagle as an “all-American” route to the Klondike goldfields. The federal government was eager for more development on the US side of the border to prove that the purchase of this remote territory was not a complete folly. 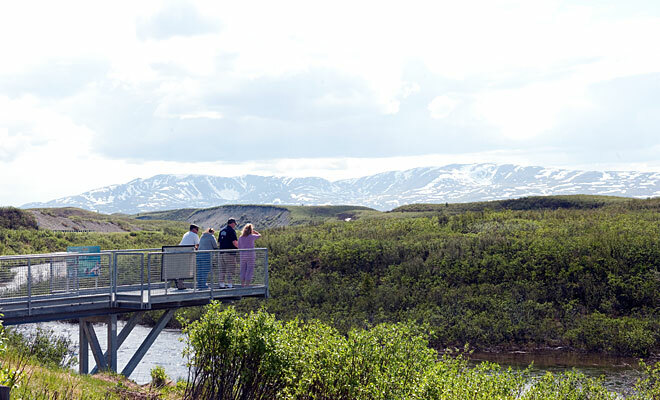 Just as the Klondike stampede ended, the Fairbanks gold rush started in 1902, and with the telegraph line added to the trail in 1903, this wilderness path became an important access route to the Interior. Initially a five foot wide pack trail, the road was built by destitute prospectors who were eager for quick cash to escape the territory. Despite the severity of the winters, travel was easier in the cold months with horse and dog-sleds, rather than in the summer when travelers were bogged down in deep mud and attacked by hordes of mosquitoes. In 1910, overseen by US Army Captain Wilds P. Richardson, the footpath was upgraded to a wagon road. The history of the Richardson Highway is indelibly linked with the construction of roadhouses. Built approximately one day’s march apart along the entire stretch of the trail, these often-crude structures were a vital source of warmth and succor on the grueling march to the goldfields. A small number of these roadhouses remain and are on the National Register of Historic Places. 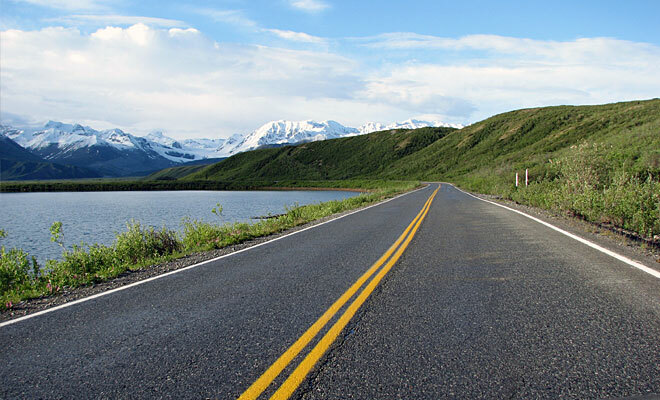 The Richardson Highway is 368 miles long, starting in Valdez and ending in Fairbanks. 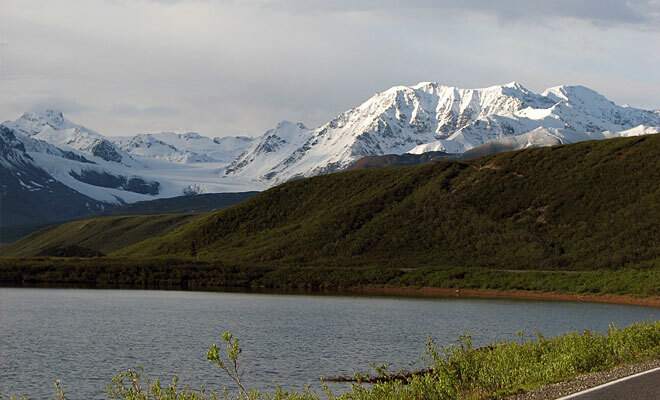 Paxson is situated exactly halfway between these two communities, at mile 185, making it an ideal stop for travelers who wish to devote two days to driving the road, which is the minimum recommended. The highway is not only historically significant, but is also in the top three most stunningly beautiful roads in the state. Multiple glaciers, waterfalls, towering mountain ranges and broad glacier river valleys are what greet travelers and keep their cameras busy. 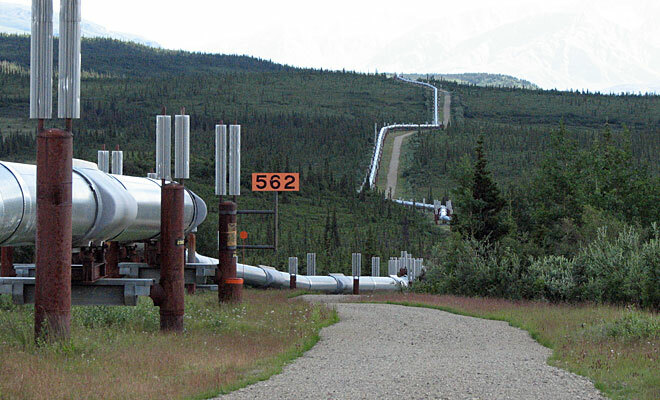 Also of interest is the Trans-Alaska Pipeline that follows the road for most of the route. 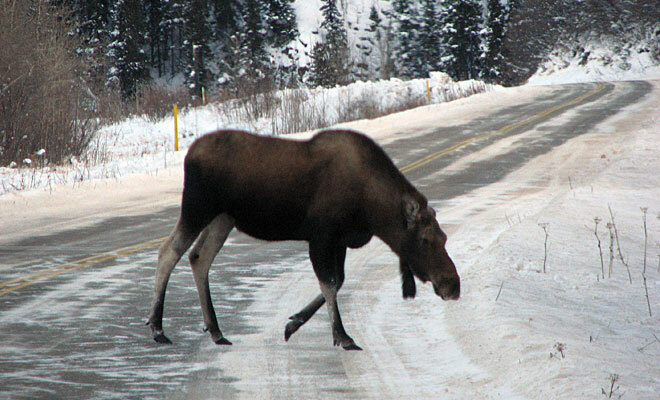 The Richardson Highway is primarily a two-lane road, but becomes a four-lane road as it approaches Fairbanks. The road is in excellent shape, and especially south of Delta Junction travelers can expect very little traffic, even in the summer. With most north-south traffic in the state funneled onto the Parks Highway, many travelers on the Richardson feel as though they have discovered a forgotten gem of a road. It is recommended that travelers fill up with fuel whenever passing through a real town, such as Valdez, Glennallen, Delta Junction or Fairbanks. Do not rely on the availability of gasoline at remote roadhouses. 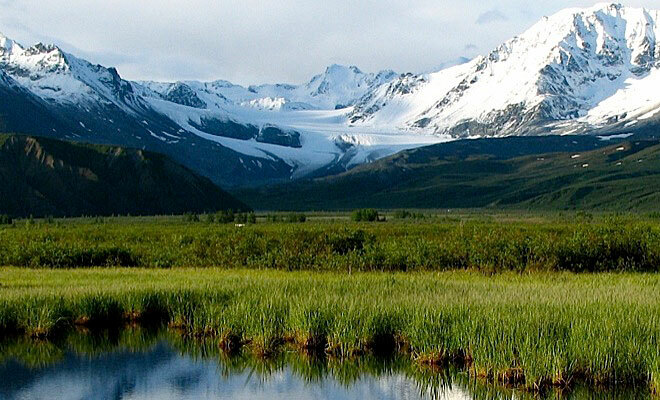 Dubbed Alaska’s “Adventure Corridor”, the Richardson Highway is a mecca for everything visitors come to Alaska for.